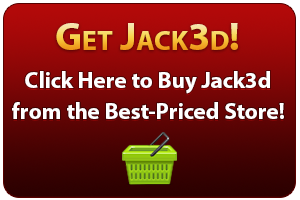 Cycling Jack3d – Do I Need to Stop Using Jack3d? The simple answer is yes, you should cycle off of Jack3d. USPLabs reps recommend using Jack3d for 8 weeks, then taking 4 weeks off. At worst, you should take two weeks off every three months. While you are cycled off of Jack3d, you should NOT use any other stimulants, such as coffee, tea, or other caffeinated nitric oxide preworkout supplements. This is a great time to kick the caffeine habit. You can incorporate some rest time here too, which your body occasionally needs. Jack3d needs to be cycled because the stimulants will lose their effect on you. Jack3d is still a safe supplement. But if you constantly find yourself needing it, you are possibly becoming addicted to the caffeine and should get unhooked from it. As I write this, I am in my third week of a “caffeine-ban”. I had to stop because I was using Jack3d in addition to other caffeine products, and knew I was hooked. It took me TEN days before feeling normal without caffeine. I’ll admit, it wasn’t fun at first. I was craving it, needed lunchtime naps, and even had a few dreams about it! But after a couple of weeks off, I feel great again. Those ten days made me realize that simply stopping usage for one week is not enough, nor is two. This is why three weeks off is the bare minimum when you’ve been using it for three months. Creatine Monohydrate Powder, if you are like us and believe in long-term creatine safety. Rhodiola Rosea – This “adaptagen” helps you recover from stressful incidents, and sets hormone levels right. It does me wonders when cycling off stimulants. Rhodiola is a great mood enhancer for people who are down, a testosterone boost for those who have low test, but also helps people sleep a bit too if they can’t sleep. It’s simply a REGULATOR, and I find my time off of caffeine to be much, much easier when using 2 caps/day. Both of these stim free products are involved in the “Asteroid Stack 2.0”, which is an incredible muscle-building stack. Compound 20 is a “leaning and hardening agent” that behaves like an incredible, stimulant-free “fat burner”… except it drives more carbs to muscle, not just about burning fat. TEST Powder, on the other hand, is just an epic testosterone booster that you can cycle on 4 weeks, off 4 weeks, and will naturally boost your test and provide epic pumps (thanks to agmatine sulfate in it) and endurance, which you’ll be missing when off of Jack3d. With either of these, or both, you’ll do JUST FINE without stims. They’re rock solid, even though C20 is pretty complicated to understand, it works great. As always, keep your total protein intake at a minimum of 1g of protein per pound of bodyweight every single day. The creatine is optional. Some people cycle this too, which is probably best, but creatine safety studies have shown that long-term use is perfectly fine. If you continue to use it separately, take 5g a day, preferably first thing in the morning or immediately after your workout. So Jack3d should not be used forever, but get right back on the Jack3d horse once you’ve done enough time off, and it’ll be ready to hit you in the balls like a bag of bricks as always! Do you need to take 1 scoop the first three times going back on it? Not a bad way to start. There’s no “official” stance on what to do the first 3 times. You can ease into it and it all depends on your size and metabolism and caffeine sensitivity. 1.5 scoops does most people great for a long time. I have just ordered this product in the UK for the first time, having heard/read mixed reports and testimonials. I’m not 100% sold on it yet, but I like to think I’m a sensible person, so will give it a trial period and not take it beyond the recommended dosage. What I am curious to know is the effects/recommendations to my cycle if I only intend to take Jack3d prior to participating in sports matches once or twice a week. I aim to work out without the supplement 3 times a week and only use Jack3d prior to Soccer training or matches (twice a week MAX), so I am at my peak during playing time. Will this affect my cycle? Would I even have to cycle on/off if I was only using it 1 or 2 times a week? I don’t have exact numbers for you, but if you did this (and i like the plan, BTW! ), you could prolong it for sure. Are you taking other stimulants every day though? The idea is that you shouldn’t rely on stimulants 24/7/365! Your adrenals need a break. If you’re not… then you can make it through the entire season like this. Soccer should really go well with Jack3d. Awesome! I’m not taking ANYTHING else apart from Jack3d (& only for Soccer). My other work-outs are 100% off my own energy/diet (I’m not looking to get pumped, just more toned). I had my first scoop last night before a game and it felt a little weak, so I may increase the dosage by 1/4 scoop, or maybe even take it less diluted…but all-in-all, I think I was playing almost full throttle for most of the session, so it must have been my stamina that let me down towards the end or I didn’t realise it was actually working! My focus was fantastic, though. It also took a while to get to sleep, but I was expecting that as I took it after 8pm, so I just tried to relax when I got home. Thanks for the advice. I’m glad I should be able to use this throughout the whole season without cycling it! can you take nonprescription sleep aid with this product? “With” it at the same time? No… but if you wait for the caffeine to wear off – say 6-8 hours or so, then I don’t see a problem. I can’t give a definitive answer since you didn’t mention what sleep aid. Make sure it’s a sleep aid you know how you respond to already, and then you can assess.